Two weeks and three days to go and the nerves are beginning to jangle. Everything became a bit more real this week as three of my friends completed Ironman France in Nice. Up until now I have to confess that I have been hiding behind my friends. In my mind Ironman UK was after France and so if Ironman France hadn’t happened then Ironman UK wasn’t here yet. Well it just did and it is. 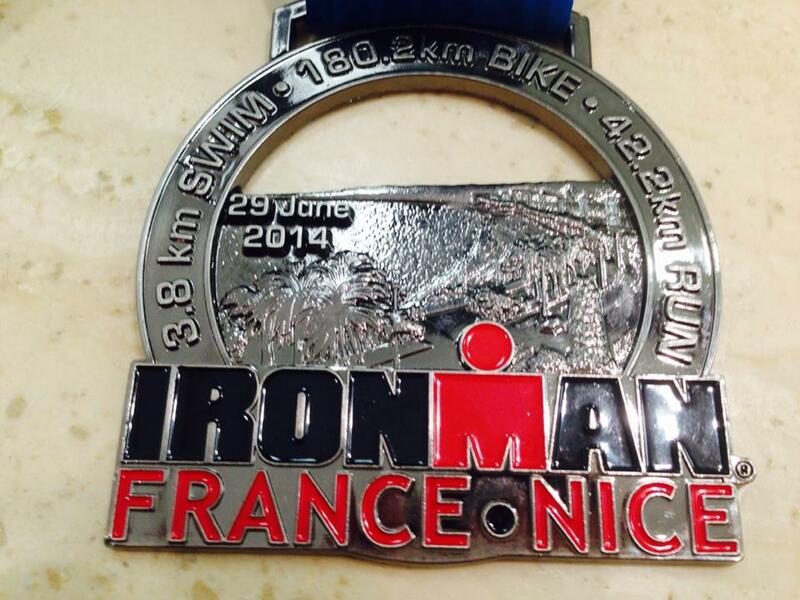 On Sunday evening on La Promenade des Anglais, Nick Wall, Liz Mayon-White and Pete Holt became Ironmen. Heroes! Meanwhile back in the UK my training was reaching a crescendo with one last push. The last two weeks have been full on – 32 hours of training, two one hundred-mile bike rides, long runs, full Iron distance open water swims and more. I have emptied the tank and now it is time to let it recharge. I hesitate to use the word taper because to me that word has connotations of putting your feet up and declaring training over. Nothing could be further from the truth. My training continues but the really long sessions are done. I plan to keep some volume and intensity for the next week and then ease off for the last ten days to allow my body to fully recover before race day. But I will continue to train lightly even during race week. One of the side effects of the huge volume of training has been on my body weight. I reckon that in each of the last two weeks I have burned about 12,000 calories over and above the 2,500 a normal man burns just by existing. Surprisingly that amount of calories is quite hard to replace, especially if you try and do it sensibly. It is equivalent to 140 slices of granary bread (20 a day!!) or 80 cream eggs!! Without a stream of cream eggs to keep the calorie count up, my body has turned to its own fat stores for help. It is literally feasting on itself. Even though I am constantly hungry and eating ad lib, my weight has gone down. For the first time in maybe 20 years my weight recently started with the words “11 stone”. Maybe I have stumbled upon an effective fool proof weight loss regime – on second thoughts it probably has a limited appeal! In other news I had the most pleasant surprise this week. On the strength of my result at the Outlaw Half, I received an email from British Triathlon telling me that I have been given a place to race for Great Britain in my age group at the European Middle Distance Championship in Majorca in October. It is impossible to put into words what that means to me. At first I just felt excited as I rushed around booking flights and hotels. It wasn’t until a little later when I went online to order my GBR triathlon suit that it suddenly sank in. I am going to race for Great Britain! 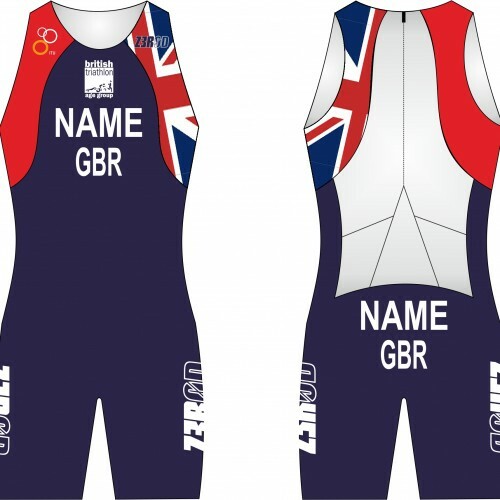 I am going to race in a GB tri suit with my name on it and everything! What an honour. My 82 year old Mother came to dinner on Monday to celebrate her birthday. She was naturally thrilled by my news – a proud Mum. But the spice went out of it for her when she learned that we weren’t going to Majorca on a chartered British Airways Team GB plane. Well she has a point! But having done what I need to do to get organised for October, I now have to put all that to the back of my mind. Ironman is not something you can go into preoccupied, it needs to have my full attention for the next 18 days. My GB selection will be a lovely distraction to return to after that and will hopefully go some way to relieving the post Ironman blues that everyone talks about. To everyone doing Ironman UK, happy tapering. We are almost there! !